Join Classic Hits 104.1 for an evening of dancing and fun! Come with a date, come solo, make it a girls night out, there’s no wrong way to enjoy the night! 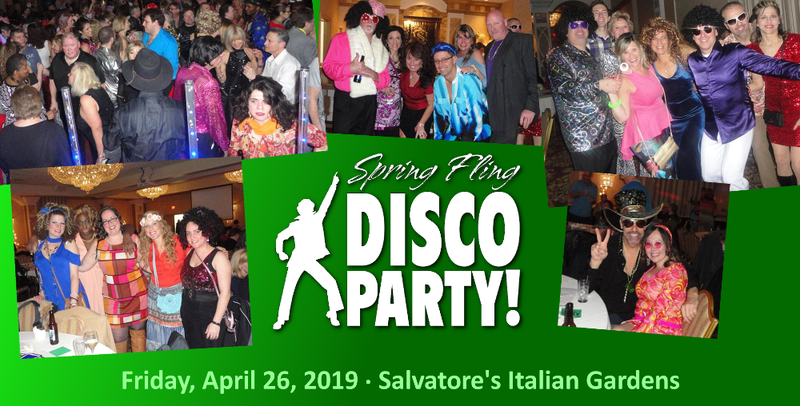 Tickets are $25 and include Salvatore’s appetizer buffet. Buy tickets quickly and securely through our Sweet Deals site. TICKETS ARE PRINT ON DEMAND, hard tickets will not be mailed. What kind of refreshments are available? Full cash bar service available. No outside food or drink allowed to be carried in. What kind of music will you play at the dance? Great dance/disco tunes from the ’70s and more! We recommend getting your tickets as soon as possible. These dances typically sell out well in advance. Dress is casual. Be comfortable — or come dressed in your best ’70s/Disco costume..have fun! If I order online, will tickets be mailed to me? No, all online orders are “print on demand”. Make sure to print your confirmation at the time of purchase, that is your ticket! No, tables can not be reserved in advance. The doors open at 6:30pm and the music begins at 7pm. The dance ends at 11pm. Where is Salvatore’s Italian Gardens? Salvatore’s is located at 6461 Transit Road in Depew (at the corner of Genesee). Can I buy tickets at Salvatore’s? No, tickets must be purchased in advance here on our website or at our office.